Traveling with children doesn’t have to be scary or intimidating. Exploring the world with your children can be very entertaining and rewarding. But family travel does require additional planning and preparation. 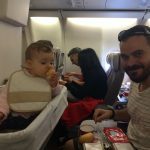 The goal for this travel site is to share practical baby travel tips to help parents prepare for their next big adventure. Because of this, we feel it’s important to get a different perspective and learn from other traveling families. 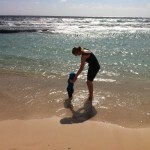 Today we interview our friends Caz and Craig Makepeace, the dynamic duo behind the popular travel blog yTravelBlog.com. 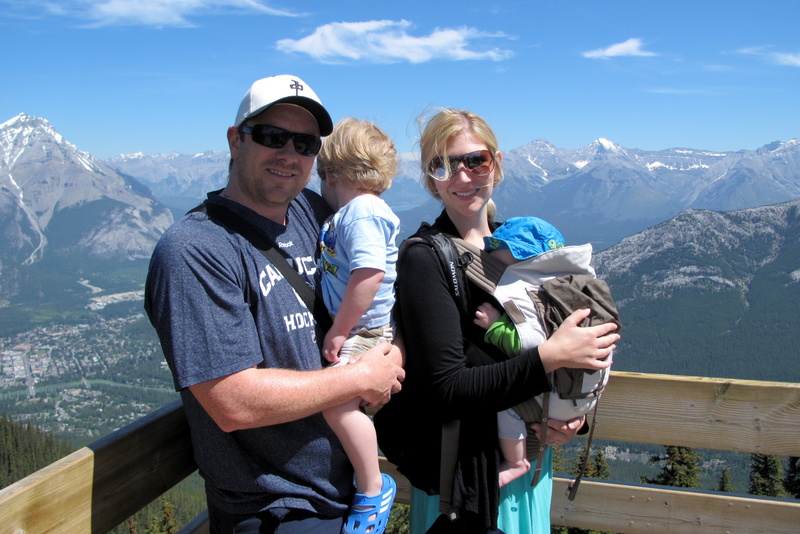 We started following their blog a few years ago and have enjoyed watching their family grow together. 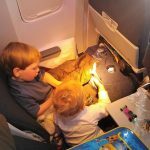 They have made travel an important part of their family culture and are a great resource for newbie parents looking for baby travel tips. Before we get started, please introduce yourself. How many children do you have and when did you start traveling with them? We are Caz and Craig Makepeace from Australia and we have two daughter’s Kalyra (5 years old) and Savannah (1 year old). Kalyra went on her first overseas trip to Fiji when she was 6 months old and her first plane when she was 3 months old. She has since travelled to 7 countries and lived in the United States. Savannah’s first overseas holiday was when she was 8 weeks old. She has since travelled to 3 countries. Oh, tough. Any western country is pretty baby friendly as the facilities are well set up and you don’t have to worry about water contamination etc. But I find the Pacific Islands are fantastic for babies and families. The local people adore children and will give so much love and attention, and help look after your child. You feel like a part of their family. The cultural mentality is that the village raises the child. Some people may get annoyed with the extra attention their babies/children receive, but I don’t think a baby can ever get too much love. We never leave home without our Baby Bjorn carrier. It makes life so much easier for getting around. Don’t try to pack too much into your day. All of you will regret it by the afternoon. Do the activities in the morning when everyone is fresh and then take time to rest in the afternoon. It’s essential to travel at a much slower pace. Do more in fewer places. Be prepared for things to go wrong. Be flexible with your schedule so you can take that extra hour or two if needed for nap time or sanity breaks. Enjoy every moment and go with the flow. It is such a magical time and remember all baby needs is your cuddles, food and warmth. She can get that from any place so there is no reason for you not to travel and have a great time. 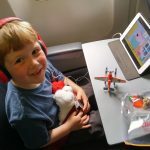 Work the routines into your travel schedule and think about what a fantastic opportunity it is to teach your child how to be adaptable. 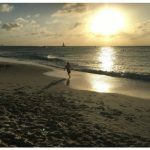 To follow Caz and Craig’s family travels, check out their popular travel blog and follow them on Facebook, Twitter and Pinterest. Traveling with kid’s is not easy, as you need to be extra cautious with them. When we are traveling with the kid’s we must carry extra luggage which is full of food items and extra clothes for the kid’s.That means extra diapers, extra clothes, extra snacks, extra wipes and eatables.